Barred spirals are actually more common than was once thought. Around two-thirds of all spiral galaxies — including the Milky Way — exhibit these straight bars cutting through their centres. These cosmic structures act as glowing nurseries for newborn stars, and funnel material towards the active core of a galaxy. NGC 2500 is still actively forming new stars, although this process appears to be occurring very unevenly. The upper half of the galaxy — where the spiral arms are slightly better defined — hosts many more star-forming regions than the lower half, as indicated by the bright, dotted islands of light. 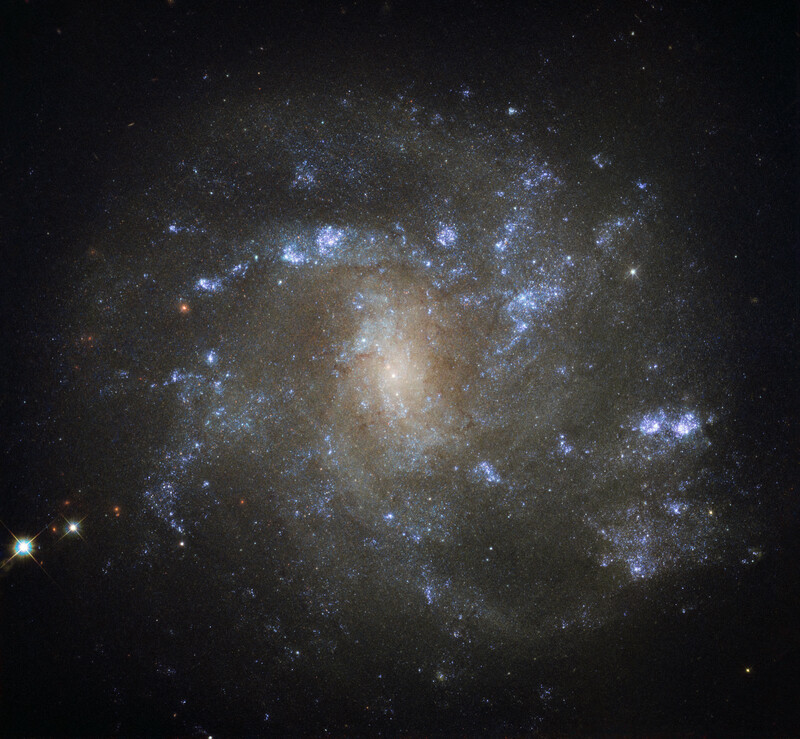 There is another similarity between NGC 2500 and our home galaxy. Together with Andromeda, Triangulum, and many smaller natural satellites, the Milky Way is part of the Local Group of galaxies, a gathering of over 50 galaxies all loosely held together by gravity. 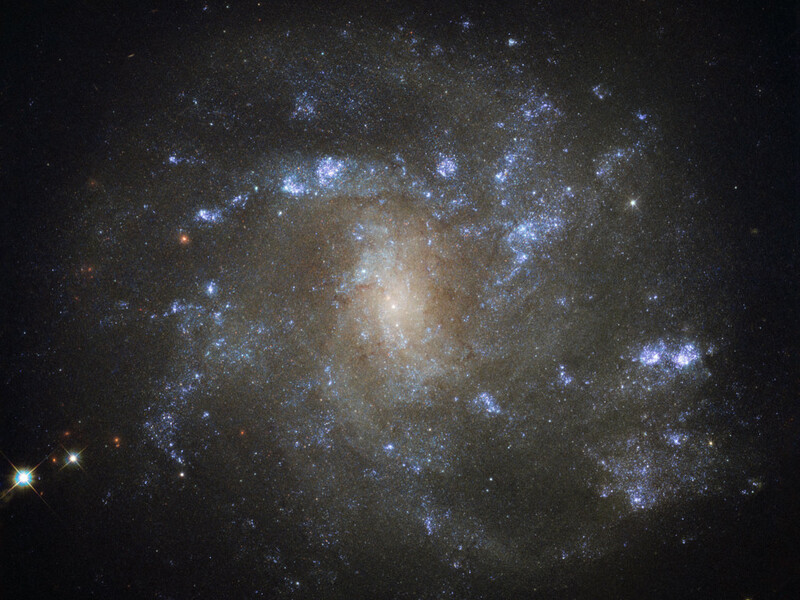 NGC 2500 forms a similar group with some of its nearby neighbours, including NGC 2541, NGC 2552, NGC 2537, and the bright, Andromeda-like spiral NGC 2481 (known collectively as the NGC 2841 group). Position (Dec): 50° 44' 14.95"